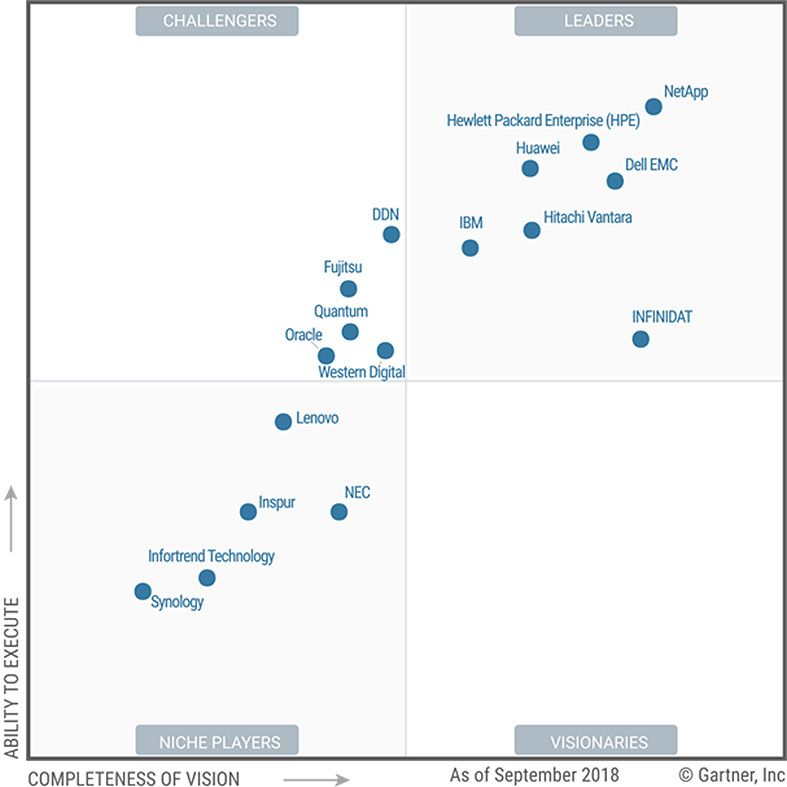 Gartner named Huawei a Leader in its 2018 Magic Quadrant for General-Purpose Disk Arrays. This marks the third consecutive year since 2016 in which Gartner named Huawei as a Leader. The report recognizes Huawei's enhanced "Completeness of Vision" and "Ability to Execute" over 2017, representing a new milestone for Huawei's storage offerings. The report shows that Huawei has become a mature supplier of quality external enterprise storage systems. Thanks to continuous technological innovation, Huawei expands its extensive storage product portfolio comprised of both enterprise and cloud storage. Huawei uses Storage as a Service (STaaS) Solution to logically integrate and intelligently manage data on edge and enterprise data centers as well as clouds. Huawei is a pioneer in offering a seamless cross-cloud user experience in the industry, aiming to provide enterprise users with consistent storage resource services and intelligent data O&M management on- and off-premises, which facilitates evolving of enterprise data centers to the cloud. Download the report to gain more insights.